What does it mean to really follow Jesus in the 21st Century? 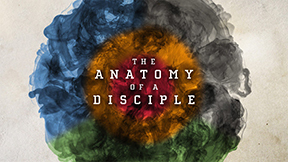 Anatomy of a Disciple is designed to answer that question. It is offered to those who have completed Next Steps Together and anyone else interested in a life with Jesus. This is a chance for you to think through what it means to follow Jesus in all areas of your life and be introduced to practical ways of doing just that. We'll talk about having a truly committed heart for Jesus and how we develop a fully informed mind. We'll also talk about how the Christian engages with the world we live in. This 6 week class will include videos, class discussion and practical projects for you to try at home. To learn more contact the office at (630) 323-3456.